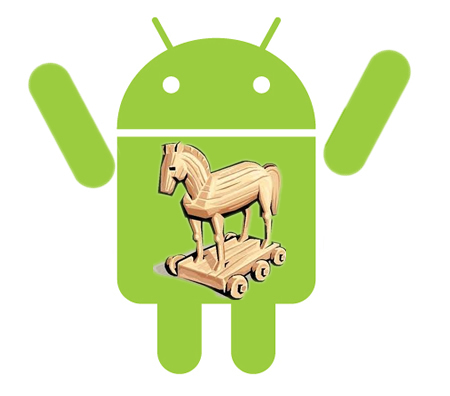 Even though the allegations over the free distribution of Android have predominantly caught the public’s eye, the complaint also appears to argue that Android is a “Trojan Horse” (a non-innovative yet effective metaphor…) used to pre-load Google apps. According to FairSearch’s press release, “Android phone makers who want to include must-have Google apps such as Maps, YouTube or Play are required to pre-load an entire suite of Google mobile services and to give them prominent default placement on the phone”. This is, at least at first sight, more interesting than the allegations about predatory pricing. Tying/bundling issues in the smartphone industry have so far received some attention from enforcers -remember the investigation involving Apple and Flash?- and academics, but not so much. And yet they raise antitrust questions that take the discipline outside of its comfort zone. One of the problems with this leg of the complaint is that publicly available info is scarce and that some issues are fairly technical. So don’t take what we say for granted. This is no more than an exercise for me to brag about Enrique’s industry/technical knowledge to discuss a case in detail on the basis of knowledge that not everybody has (at least I didn’t), and that I thought was worth publishing here. At the very least it has helped me learn about the industry (for some odd reason I only reflect properly about things when I write about them…). As always, happy to discuss. Btw, the post is again lenghty because I haven’t had time to write a shorter one. Our understanding is that Google does not preload its apps in Android (like Microsoft actually does, for instance, with Skype and SkyDrive in Windows). This means that OEMs are free to take the Android OS without having to pre-install any of Google’s Apps (for example, Amazon has done so with the Kindle, and so has Barnes&Noble with Nook; a number of other examples are mentioned here). Android’s code is publicly available here and all OEMs can do what they please with it. If our understanding is correct, it’s only when OEMs wish to pre-load the Google Mobile Services suite (“GMS”) that they need to pre-install its “core-apps”. In sum, if OEMs want a non-Google Android experience they can have that. If they want a sort-of-Google experience on Android (i.e. if they want the GMS) then Google asks them to preload (on a non-exclusive basis: they can preload any others) a minimum set of apps. Accordingly, it’s difficult to argue that there is a bundle of Android+Apps; at most there could be only a bundle of apps. [Intermission 1: It’s not easy to find out exactly what’s included in the GMS/ “core apps”. The references that we’ve found (page 12) seem outdated as, for instance, they refer to Android Market (now Google Play), Google Talk (now Hangouts) and call “apps” things that we understand are rather non-user facing services (like the service that synchronizes contacts or the calendar with the cloud)]. But is there really a bundle of apps? In order for “pure bundling” to exist it would be required that the components of the bundle are not also available outside of the bundle, but that doesn’t seem to be the case either. Most of the apps in the GMS can be obtained separately from the bundle and for free (that’s the case of Youtube or Google Maps).We may be wrong here, but we think that Google Play may be the only exception, or at least the only relevant one (on this, see our point number 2 below). Finally, since OEMs’ decision will not be affected by any financial incentive on the part of Google (because the “core apps” in the GMS are all free of charge apps), there’s no mixed-bundling either. [Intermission 2: in my view, and in contrast to this case, mixed bundling of proprietary non-free software by certain dominant firms can actually pose serious competition problems (due to the existence of market power, the ability to toy with monopoly prices, resale prohibitions, switching costs and higher barriers to entry) and nevertheless remains mostly unaddressed by enforcers, but that’s another story]. That said, the complainants may have a point in that most OEMs will in practice want to have the GMS (see below). [A bit of background: Google Play is an application clearinghouse, an Appstore or app marketplace. These apps are a repository of other apps that you can download with a simple click. This avoids users having to obtain software from every developer; instead, there’s an intermediary that facilitates finding/acquiring/installing software. The intermediary (Google in the case of Play, Apple in the case of Appstore, etc) obtains a percentage of sales of non-free apps and facilitates the sale of free ones]. We don’t know whether the complainants have focused on that point of not. If not, they should hire us to give them more ideas 😉 . If they have –as we’d assume- then that’s a fair point. Google Play might be the most important, but it certainly isn’t the only channel to obtain Android apps. Anyone can get Android apps on a device by installing and executing them (apk. the equivalent to Windows’ .exe). Android apps can be available on the developer’s site (although admittedly it’s becoming more rare that they put the apk. on their site) or in other app clearinghouses (mobile operators –see here for an important example-, OEMs -Samsung AppStore, LG, HTC, etc- and some online distributors -e.g. Amazon AppStore for Android-) have their own app clearinghouses offering Android apps. The FreeSoftware Foundation (supporting Google in this case; see here) has in fact a campaign soliciting the adoption of an app clearinghouse alternative to Play called F-Droid, which only features FreeSoftware Android Apps. For a list of 30 Android app stores other than Google Play and some interesting stats, click here. If OEMs choose to have Google Play, that means that they want to offer a Google experience. Accepting the argument that OEMs who chose Android do it because they want Google Play or other app in the GMS would confirm the idea that competition takes place not among OSs, but also, and mainly, among ecosystems offering competing user experiences. And this, in turn, would have both market definition implications (because it advocates for the identification of a smartphone market, not of a smartphone licenseable OS market) and substantive ones (see our point number 3 below). Moreover, and this is quite interesting, Google Play is not the exclusive clearinghouse/marketplace for Android (see the previous hyperlink for 30 alternatives); Android enables users to install any others (which is something that can’t be done in iPhones or WindowsPhones). Finally, if we assume that indirect network effects play a role in OEMs decision to choose Android + GooglePlay=GMS, then one should also take note that any indirect network effects derived from app developing mainly favor Apple, the other player in the smartphone duopoly. Apple has what is still by far the largest app store, remains hugely influential among developers and, as a result, obtains more profits from than any other player (6 times more than Google) (see here). 3. What’s the business rationale? 1) If Android phones are to compete against iPhones (which offer a whole suite of apps right out of the box) it might make business sense for OEMs/Google to provide a basic set of pre-installed apps that offer an equivalent user experience. Moreover, the need to ensure that users get a basic set of apps ensuring a consistent user experience would be greater in Android’s case, because its open source nature leads to significant “fragmentation” (which has earned Android some heavy criticism; see e.g. here). [Background note: whenever you’re in a FreeSoftware scenario where forking is possible, there is an inherent risk of fragmentation. The fragmentation problem arises because users will be have multiple different versions of the OS (OEMs want to differentiate their products, so they tweak whatever OS they choose to add their personal touch), which means that there are literally thousands of different possible user experiences for Android, and that not all apps will be able to run on (compatible with) every version out there]. Against this background of fragmentation problems, Google tries to ensure that all devices offering a Google experience on Android (as a proxy, those that have GooglePlay + Android) have a minimum and consistent set of apps (that is, the core apps in the GMS). 2) It’s key for developers who write for Android to know that the OS will be accompanied by a set of apps that they can rely on (be it email, maps, contacts, etc). In order to facilitate the interoperability of apps Android has something called “intents” [Enrique knows a bit about them]. Whenever an app needs to obtain/offer content from another apps it can do so by relying on those intents. So, for instance, if an app wants to show a web page, a map or have the user sent an email, it can use the intent to call on whatever browsing, mapping and email apps installed on the phone. This is something unique from Android, and it undoubtedly gives the user more freedom (we’ll come back to this in point 5 below). 3) Third, developers aside, some apps may need to rely on others, so it’s useful (actually necessary) to have a suite of basic apps installed. 4. Everyone does the same! Apple’s iPhones offer a whole set of apps right off the box and is marketed mainly on the bases of that well-rounded user experience. iPhone 6 has a bunch of pre-installed apps (namely AppStore, Calculator, Calendar, Camera, Clock, Contacts, Facebook, Facetime, Find my iPhone, Game Center, iBooks (downloadable as soon as the device is activated), iTunes, Mail, Maps, Messages, Music, Newsstand, Notes, Passbook, Phone, Photos, Reminders, Safari, Stocks, Twitter, Videos, Voice Memos and Weather). As discussed above, what Google does is less straightforward: it doesn’t pre-install or bundle the apps to Android; instead it asks OEMs to preload a basic set only when OEMs want to have the GMS. 5. Do Google’s contractual arrangements regarding apps result in market foreclosure? There are a number of theoretical reasons why one’s first reaction is to think that Google’s conduct isn’t likely to result in foreclosure. Among them: (i) non-Google apps can still run in all non-Android platforms, which retain a very considerable usage share; (ii) non-Google apps are not foreclosed from Android because the obligation of preloading the “core apps” does not entail exclusivity, so users and OEMs retain their freedom to download them; (iii) Android users can actually download competing AppStores (we’re not aware that users can do that on iPhones or Windows Phones); and (iv) very importantly, once competing apps are installed, Android does not grant default preference to Google apps (remember what we said above about “indents”? Android enables users who have installed alternative apps to set the default app that they prefer to use either “only once” or “always”). An empirical example appears to confirm those more theoretical arguments: a Microsoft app like Skype has more than 100 million users only on Android phones, even if a competing app from Google, Google Talk (now Hangouts), features (at least it did back in 2009) among the list of “core apps” allegedly benefitting from the contractual arrangement with OEMs at issue. Does this suggest any foreclosure? And by the way, Microsoft and Nokia weren’t precisely fast in developing apps for Android. FairSearch complains that the “bundling” forecloses Bing, but, as of today, there’s no Bing app for Android in Europe (seriously), and Nokia only launched a mapping app to compete with Google’s in 2012. In our first blog post of the series we provided some background to enable you to better understand the reasons why the complaint may have been brought, and we questioned the extent to which one can argue that Android enjoys significant market power. In our second post we undertook a “quick look” approach to dismiss pricing allegations. This third post was quite more technical (I bet you didn’t read the whole thing), but we think necessary to illustrate the nature of the issues brought up before DG Comp and to enable you to form your own opinion. We’ve explained ours: that it’s arguable that there’s a genuine bundling of Android + apps, that there’s no mixed-bundling either, that there appear to be legitimate business justifications for Google conduct, so much that all relevant players act similarly, and that there’s no apparent evidence of foreclosure. Pablo Ibañez Colomo will soon follow up with a guest post putting the legal issues brought up by this complaint into a wider theoretical perspective (or rather, will explain how an uncertain legal background gives rise to proto-cases like this one). Many thanks, Flo. I read it over the weekend and whereas it presents interesting arguments, I don’t think it contradicts any of what I said in my post. Happy to discuss it in any event. Thanks again for the link!